Not everyone shares my enthusiasm for all things digital…I understand that. But how can you NOT like all the fun things you can do online these days? I’m not talking about social media. I’m talking about the media you can construct on your own, using some fun new sites. 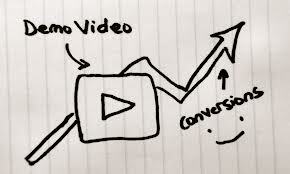 Many of them come under the rough heading of “explainer video authoring” sites. For instance, a lot of people have reacted positively to the little ditty I did to explain the name brand-name “CourVO”. I constructed this myself using the tools I found on VideoScribe. The website is: Sparkol. This is a UK-based company that is always improving the product, has wonderful customer service, and an active user community. I’ve also been a fan of SlideShare. I use the past tense, ’cause I decided to back down from the paid subscription for budgeting reasons (and I wasn’t using the program that much). Even the free version comes in real handy, though. I used it this week, in profiling Brian Amador’s PowerPoint presentation on a paperless workflow on this blog. Just upload any .ppt file, and it converts it to a SlideShare format that you can share, embed, email, and otherwise re-purpose almost anywhere. This week, someone in the VO community mentioned PowToon. I have not tried this site, but I’m licking my chops to find an extra hour somewhere to play with it. Their headline says: Create animated videos and presentations. It’s free and it’s awesome! (and it looks awesome). Finally, attending a Journalism conference in August, I was wow’d by a number of presenters who used a composition tool called PREZI. This is also a visually engaging authoring site with a different approach than anything else I’d ever seen. Very effective. All of the above digital tools strive to be intuitive and user-friendly. Each takes a bit of a learning-curve to master, but you can have fun trying. Why? If you’ve been paying attention to my mantra over the months…VIDEO is where it’s at. Video accompanied by YOUR voice, or marketing your brand, or BOTH is where it’s at these days (always has been, actually). I can’t tell you the number of responses I’ve gotten to that simple CourVO branding video using VideoScribe explaining my brand. I auto-tweet the link to it throughout the day, and constantly get hits.